Freelance journalist Gabriel Popkin used support from the Institute for Journalism and Natural Resources and the Society for Environmental Journalism to research this report on new Mayan farming techniques for National Public Radio. Years of unpredictable rainfall and failed crops pushed Yam Moo to find a solution, and it’s one that could in turn help fight climate change. 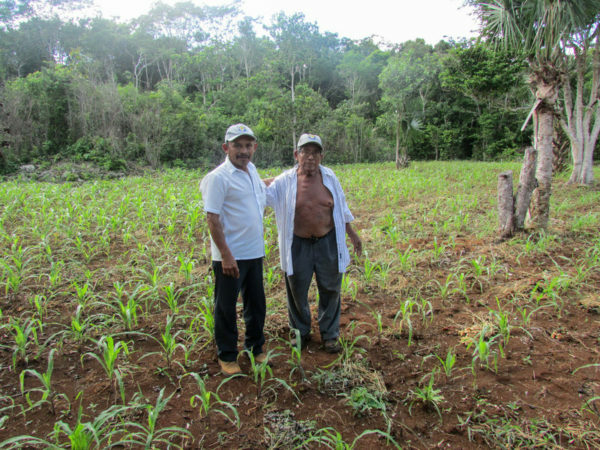 Along with other farmers in the area, he developed a modified milpa called “milpa maya mejorada” or “improved Mayan milpa.” Yam Moo no longer cuts down new forests, but he still grows the same diversity of crops. And he has incorporated into the ancient practice a host of modern techniques that help him farm despite the more unpredictable rains. A recently installed irrigation system, which relies on an above-ground rain water collector (the Yucatán has almost no surface water) ensures that Yam Moo can survive droughts. And he has found that by tilling in compost, chicken manure and other organic additions, he can grow far more crops per hectare. The added nutrients keep the soil healthy and productive, meaning he doesn’t need to clear new ground as often, or perhaps at all.